Did you know that about 466 million people worldwide have a disabling form of hearing loss? About 34 million of these are children, and these figures are rising up every year. That’s why hearing aids are becoming a huge necessity around the world. Thanks to the recent technologies, these devices are now better than ever. They can now create a normal life for hearing loss patients. If you’re wondering which one to choose, keep on reading. Here are the best hearing aids of 2018. The Phonak Marvel hearing aid range is a multi-functional device. It’s a Made for Any Phone aid, which means it doesn’t only connect to iPhones like other models. It can connect to laptops, televisions, and other Bluetooth-enabled devices, too. The rechargeable hearing aid comes with four levels of hearing aid technology. It also has a new power management feature. This enables the users to stream without sacrificing the battery life. It has some pretty neat features, too, such as remote adjustments, a new app, and more. It has a true hands-free calling through the Audeo B-Direct, allowing you to hear in both ears. This should make it easier for you to understand the callers. The Bernafon Zerena 9 range consists of Made for iPhone models. As such, you can connect them to Apple products. Unlike the hearing aid above, however, it can’t connect to other devices. It comes in several types: miniRITE, miniRITE rechargeable, miniRITE T, and BTE. All models are good for mild to severe hearing loss. As for the sound quality, it delivers sharp, clear, and natural speech. The streaming audio has pretty great quality as well, and it doesn’t get in the way of receiving sounds. It also switches settings depending on the environment. The automatic dynamic program switches without you even noticing it. Don’t have too big of a budget and only have a mild hearing loss problem? The Pro Ears Pro Hear IV may be right for you, which costs hundreds of dollars less than other options. It offers a value for money hearing aid with sufficient capabilities. It features adaptive feedback canceling and an amplifier. The latter can boost the sounds by 17 dB on one channel and 22 dB on the second. It also has a 10-channel noise reduction microphone. This digital hearing aid model comes with an earbud, which connects to the amplifier via a clear cord. It’s pretty discreet, although you don’t have many options in terms of colors. Audicus is another brand offering value-for-money hearing aids, which cover mild to severe hearing loss issues. Its latest product is the Clara, a high-performance receiver-in-canal model. It comes in different colors, from a neutral white to a mild orange. The Audicus Clara is small enough to be inconspicuous, but it still packs advanced sound processing features that let you hear speech with clarity. Its battery lasts long, too, in spite of its size. Audicus offers 2 pricing options for its product: either you pay once or you pay a small sum every month. Either way, the product itself is pretty affordable. Starkey announced the release of its new Muse iQR range this year. It built this range on the company’s Synergy platform and Acuity operating system. It’s a rechargeable hearing aid with lithium-ion batteries, which can go up to 30 hours of streaming. According to Starkey’s claims, it’s the smallest rechargeable hearing aids in the market. In spite of that, it has 20% more power, being able to run for a longer time than competitors. The Muse iQR even comes with a portable charging case for 15-minute charges. What’s more important, though, is that it’s the first rechargeable aid for single-sided deafness. For premium sounds and features, you need a premium product, too. ReSound’s LINX Quattro is one of the best high tech hearing aids you can buy for that purpose. According to the company, it has all the best technologies you’re looking for in a hearing aid. It offers a clearer, fuller, and richer sound quality with the highest input dynamic range and extended high frequencies. It also has a lithium-ion battery with a rather long life. It can go up to 24 hours of use with 50% streaming. Of course, a premium product comes with a premium price, so this may not be for everybody. The Phonak Audeo V is a great hearing aid for those experiencing tinnitus. Thanks to the latest hearing aid technology and its built-in special feature, it can help reduce the ringing in your ears. Its performance is excellent when it comes to delivering clear speech and music. It also has an automatic program that switches to another setting depending on the environment. It’s available in three models; choosing the right one for you will depend on your hearing doctor’s opinion. Check out the forums to learn more about buying the right hearing aids. The Hi BTE Power Plus is one of the best hearing aids for severe hearing loss. This behind-the-ear model is customizable-you can personalize it to fit your hearing needs. It has 16 gain adjustment channels with powerful amplification and sound processing. It uses a Fixed Directional processing technology that allows wearers to hear the sounds in front of them with clarity. At the same time, it eliminates background and environmental noises, such as the wind. Its looks don’t lag behind its capabilities. It’s sleek and small with two color options: Champagne and Granite. It’s quite comfortable to wear all day as well. Which of the Best Hearing Aids of 2018 Is the One for You? 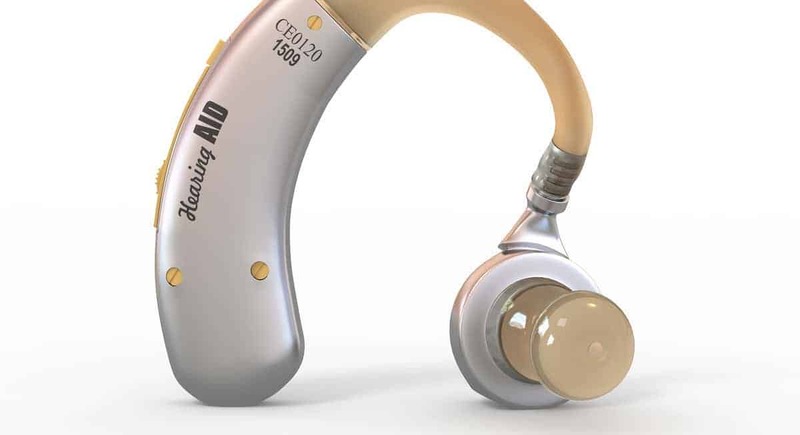 The models above are some of the best hearing aids of 2018. It’s a good place to start looking for the right one for you, but the best one will still depend on your hearing needs. If you want to learn more tips about technology and other subjects, check out our other guides now. We discuss several topics for your knowledge, such as knowing how electronic payments work.